This afternoon saw the start of the 2012 Land Rover Burghley Horse Trials in Stamford, Lincolnshire. William has had his first look at the cross country today and reports the track to be ‘big and ditchy’ with the first real question being early on course at The Discovery Valley coffin combination. You can see all the fences and watch the Official Land Rover Course Preview by clicking here. This afternoon was the first horse inspection. Jackie and Alice (Warring) did a fantastic job and both Parklane Hawk (2011 Burghley Winner) and Seacookie (2nd at Burghley in 2010) passed without a hitch and looking great. Seacookie, drawn no 19 and with several withdrawals early on in the running order, will do his test tomorrow morning (Thursday) at 11.25 and Parklane Hawk, drawn no 117, will be on Friday afternoon at 4,25pm. 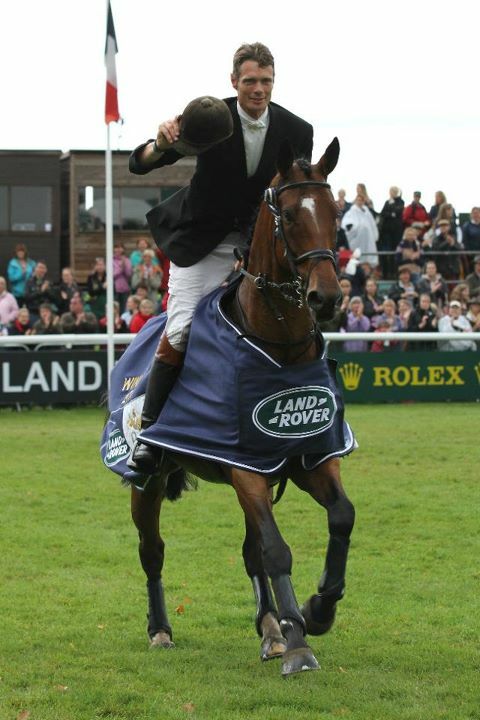 Keep up to date with all the results form Burghley by clicking here. Have smart phone? Then don’t forget to install the 2012 Burghley App. Click here for more information.